Prior to the opportunities that came with the internet and mobile working, many people were tied to their office or business premises which meant that they often missed out on family life and pursuing other areas of interest in their personal lives. Working from home means having the freedom to choose when you want to work, and fitting your work around other commitments or hobbies. You may even be out of work and struggling to find another job - if that's the case, working from home could put an end to the misery and worry of how to make ends meet and get you back in control of earning money again. People from all walks of life, and at various levels of education and qualification can find work from home opportunities that suit their skills. From the accountant who's tired of working long hours, to the office administrator who doesn't want to return to the office after maternity leave, there are all types of people who are suited to working from home. Some examples of typical work from home jobs are as follows. The dramatic changes to Ireland's economy has meant that businesses have had to downsize in order to continue operating. As a result, some employers have chosen to reduce or close their premises to keep the number of redundancies to a minimum. Some employees report that they can work much more productively in this way, and more and more employers are also recognising this. Many small and medium sized businesses do not have a budget for permanent administrative staff. For this reason, they employ the services of virtual assistants who can undertake the necessary work from their own homes. Virtual assistants can take phone calls, read and reply to emails, and many other administrative tasks. If you can type speedily and accurately, then you could find a work at home job as a typist. A typing test will most likely be required, and you may need to have an official typing qualification. You will also be required to work to some deadlines, but if you're organised and able to focus on tasks, you could find yourself with a steady stream of work you can take on at home. You may have some experience of keeping books for a sole partnership or small business which could help you secure a work from home bookkeeping job. Make sure your skills and credentials are up to date, and take a quick refresher course to brush up if necessary. You could sign up with some excellent Irish survey panels and earn cash rewards or vouchers for giving some of your time to market research. Taking online surveys is one of the easiest ways to boost your earning potential, and can often be done alongside other jobs you may have. It's a great way to earn easy cash, and a fun way to get involved in shaping the products of tomorrow. Much like taking part in online surveys, product testing is another easy way to earn cash in your own time and when it suits you. You could be testing anything from breakfast cereals to cosmetics and more. You will need to suitably evaluate the products you are testing, so good writing skills are an asset. If you can write to a suitable standard, and pay attention to grammar, spelling and punctuation, you could find yourself writing articles for websites, or in some cases, writing blog posts or product reviews for small businesses. If you've opted to to work full time, you may not have as much flexibility as if you were working part time. But that doesn't mean that you can't take advantage of picking and choosing your hours. As long as you are aware of (and keep to) any deadlines, there's no reason why you can't take advantage of flexible home working hours. Working from home could also mean that you have the time to take on two part time jobs as opposed to one full time job. Furthermore, you could also work at home making money solely for yourself doing one of the following. Auction sites are a great way of off-loading your unwanted items, or things your children no longer need or use. People are happy to buy second hand clothes and other items in good condition, and it's easy to do in your own home. 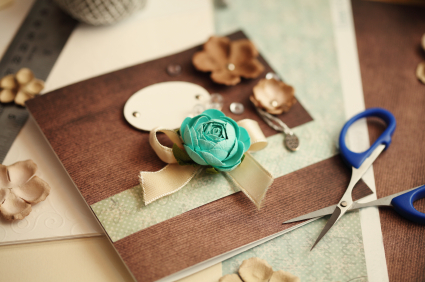 If you're keen on arts and crafts, you could be selling your wares on your own website. Hand-made greetings cards, jewellery, bags and numerous other items have been sold successfully by people who've taken on the challenge of making money from their hobbies. If the idea of carrying out a job from home seems a little daunting, then taking on a childminding role could be the answer. You will have to go through the necessary checks, and there are guidelines as to how many children you can take care of as well as other regulations. But this should be easily sorted out, and you could be earning money from just being at home with the kids. What Are The Necessary Qualifications For Working From Home? Qualifications and experience will largely depend on which type of job you wish to do. For example, there's no point pursuing a typing job if you can't type (at least) around 65 words per minute. With this in mind, explore your skills base carefully, and narrow your options down once you know what you can comfortably take on. Working from home could also give you the opportunity to brush up on your skills, and maybe even learn some new ones.